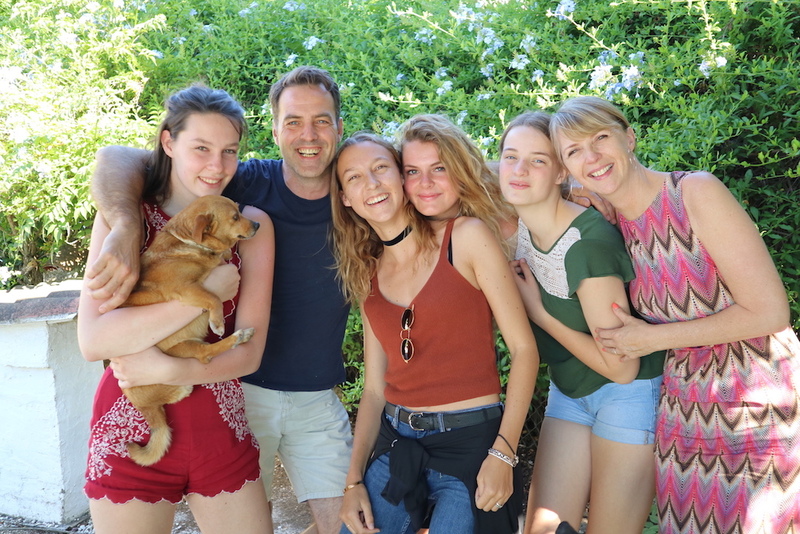 Joyce and Joost have been living in Málaga for almost 10 years, they have built a large international network over the years. After years of working as a system administrator, Joyce had her own company in the creative sector and, after an accident, she became a life coach. She’s been very successful in coaching people both online and offline for many years now. Joost started his career as an account manager, but after years of working in HR he decided to retrain himself as a lecturer at college universities. Besides teaching and lecturing he was also responsible for internships in Spain. Thanks to this they gained a lot of experience with internship guidance in Europe, coaching and training. By combining their work history they created the perfect basis for setting up Jongleren.es. Our mission is to offer students the unique experience of living, studying and working in Spain and to enable young people to develop the skills and awareness that will enhance their future potential. Experience is everything, we want students to feel at home during the internship period, so we created a perfect team that provides excellent service in Málaga. We also add great importance to personal contact with both student and company to ensure a unique internship! During our selection to find the perfect internship for you, some of our students feel the need to talk or discuss this with our personal & business coach Joyce. The optimal coordination of your personal abilities, occupational goals and the proper choice of study, is an important prerequisite for your educational and occupational success. Already before beginning of your internship, our coach Joyce, assists you in assessing your own talents and developing individual target perspectives. If you would like more information about this, contact us here. A stay abroad should be an unforgettable experience. Of course we want you to feel comfortable in the environment where you end up in. Working and living in a place that you don’t know can lead to challenges. Prior to an internship abroad you can sometimes be overtaken by doubt or fear or do not know how to prepare yourself mentally. During your internship you can get homesick or have problems in dealing with housemates or colleagues. You may find it difficult to make contacts. After the internship you can find it difficult to be back in the Netherlands. You need help in completing a number of things. It can be nice if you can ‘spar’ with someone in such situations. Someone who helps you on your way again or someone who gives you ‘a little push’. Personal coaching can take place either on location or via Skype. Business coaching is a process used to take a business from where it is NOW to where the business owner wants it to BE. Joyce will assist and guide the business owner in growing their business by helping them clarify the vision of their business and how it fits in with their personal goals. Fitting the business vision in with the business owner’s personal goals is a step that is often missed by most business coaches, who often only focus on their goals. We believe that everyone should love their job. An employee or trainee who feels good about themselves delivers higher productivity and that’s what benefits all parties. That not everyone can always deliver top performances is evident, but inadequate staff and illness due to conflicts and/or reduced motivation can be prevented by time-management and/or coaching. Culture, mutual relationships and management skills play a very important role in this part of the coaching. Sometimes someone from outside the organization can provide insights with a different view of the situation and act more efficiently in certain work situations.Of course, we would like to support you in these difficult situations but it is up to you to decide when we can be of service. We can offer coaching face-to-face, on location, via Skype and via WhatsApp. We have extensive experience in the field of coaching in the workplace, trainees and management. Our coaching rate is 85 euros per hour (ex VAT). The client buys coaching credit, whereby an amount (several hours) will be purchased and the coaching time will be deducted from the credit per minute. The purchased credit is valid for one year.